Shopping for Monkees Action Figures? Here they come... walking down the street! They're the best 8-Inch action figures for everyone they meet. 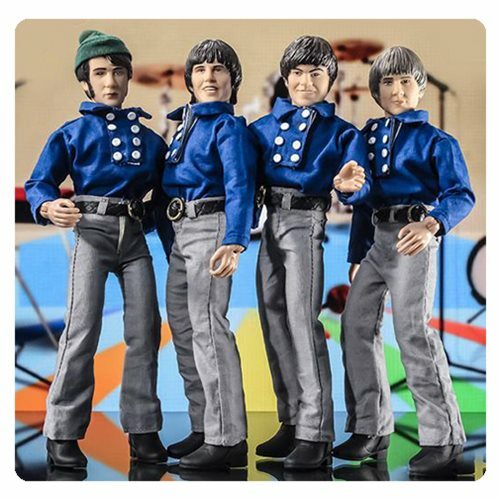 Hey hey, they're the The Monkees 8-Inch Blue Band Suits Retro Action Figures! This case features Micky Dolenz, Davy Jones, Mike Nesmith, and Peter Tork their classic cloth blue band costumes. Get the band back together with this awesome collection! Ages 8 and up.